Vijai Sardesai along with five Goa MLAs met the ailing Chief Minister at his private residence. PANAJI: Goa minister Vijai Sardesai on Saturday met Chief Minister Manohar Parrikar and said his health had "deteriorated", but he was "stable". Sardesai, along with five Goa MLAs, met Parrikar at his private residence. The MLAs, all allies in the BJP-led government, are Goa Forward Party's Jayesh Salgaonkar and Vinod Palyekar and Independents Rohan Khaunte, Govind Gawade and Prasad Gaonkar. 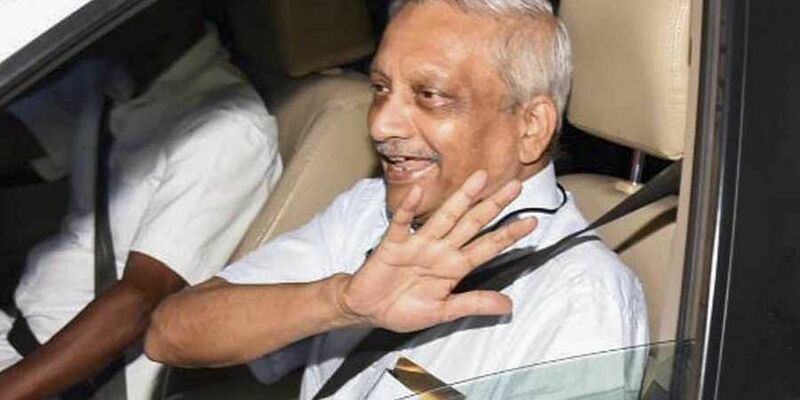 The health of Parrikar, who is suffering from a pancreatic ailment, had deteriorated earlier in the day sparking hectic political activities across parties in the coastal state. Emerging from Parrikar's private residence at Dona Paula, Sardesai told reporters, "The CMs health has deteriorated, but he is stable." "When cancer was detected and the CM showed a willingness to step down, at that time we had asked for a permanent solution and stability. Today, his health has deteriorated, but we are with him. He is stable. I don't know what exactly is his stage (of ailment)," he said. "He is not on life support. I don't know what medical term we can use for it. The chief minister's office has said he is stable, so we will take it that he is stable," Sardesai said. They also ruled out the possibility of any new political formations in the state in the wake of Parrikar's health condition. "Where is the question of a new formation? We have a chief minister and there is no question of forming anything new," Sardesai asserted. "We (a group of six MLAs and BJP) are together. Whether time has come for a new leader for the BJP legislature party is for them (BJP) to decide. We have been with Parrikar unequivocally, we are with him now as a CM," he added. A senior BJP office-bearer who attended the meeting in Panaji, chaired by state unit chief and Rajya Sabha MP Vinay Tendulkar, said the political situation was discussed but not the issue of leadership change. Goa Panchayat Minister and BJP MLA Mauvin Godinho said the meeting discussed preparations for the upcoming Lok Sabha and bypolls as well as "other challenges" facing the state. Godinho said Parrikar's health was also discussed. Assembly Speaker Pramod Sawant, after the meeting, said, "The BJP is aware that the Chief Minister's condition is not well. Some of our party leaders had met him during the day. Concerns about his health were raised." Goa Power Minister Nilesh Cabral asserted that the meet did not deliberate on the leadership change issue. "The CM is there and he is strong. So there is no reason to discuss leadership change," the BJP MLA said. Earlier in the day, the Congress wrote to Goa Governor Mridula Sinha staking claim to form a government in the state.